Baker Hughes (how much longer will we be able to say that?) 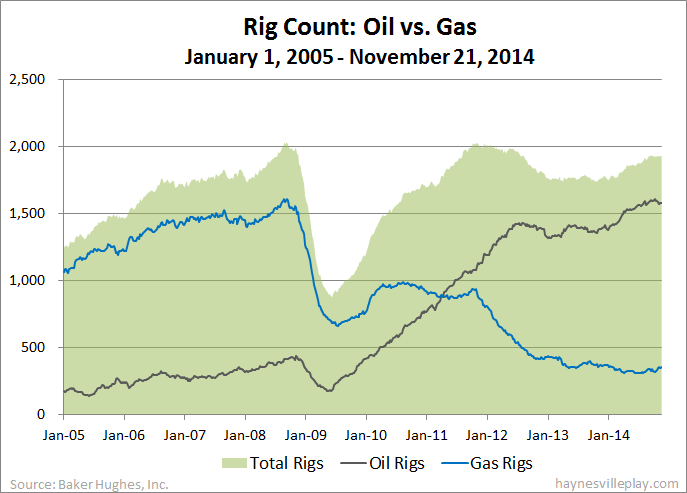 reported today that its U.S. rig count was up one to 1,929. Oil rigs were down four to 1,574 and gas rigs were up five to 355. By type, horizontal rigs were up three to 1,372, vertical rigs were down two to 352 and directional rigs were unchanged at 205. Among gas rigs, horizontal rigs were up three to 264, directional rigs were up one to 60 and vertical rigs were up one to 31.